- Member of the Salomon International Team. 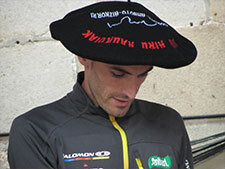 -Member of the Salomon Spain team, I finishied the season as a member of the Salomon International team. I took a sabbatical in order to dedicate myself to mountaineering and other activities. -5th Fons de la Tardor. Spanish Cup. -2nd Fraile Alpin Marathon. Spanish Cup. -4th Puyada Oturia. Spanish Cup. -4th Berga Alpin Marathon. Spanish Cup. -3rd OVERALL in the Spanish Cup. -7th Magdalena-Penyeta roja. Spanish Championship. -9th Madrid Alpine Marathon. Overall Spanish Championship.